Looking for a night out in Pueblo? We've got you covered. Join us for an evening of three unique events for the price of one! 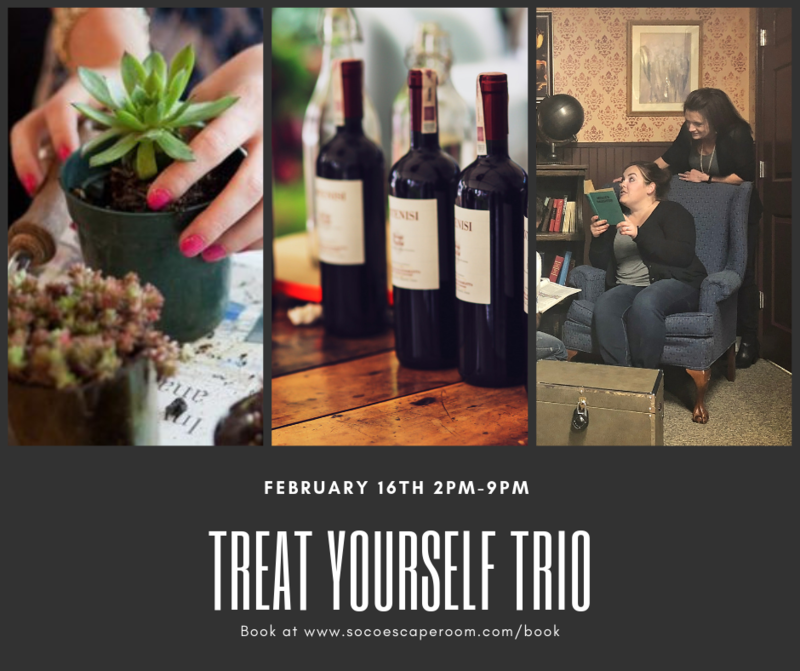 You'll build your own mini hanging succulent garden, learn about wine in a pairing session, and experience one of our 5-star rated escape rooms! Complimentary snacks and beverages are included. This event is a perfect Valentine's Day date!